First of all, someone had told the students to arrive early in order to get a seat… and a handful of students arrive 45 minutes early! It actually worked out well for them because not only did they get a front-row seat, but we got to connect and have some laughs before the event started. Even though it was a late workshop (started at 8pm!) ~150 students attended the event and we had a lot of fun. Some of the students were very good sports as I picked on them a bit during the presentation, and I had the chance to hear some really well-delivered personal pitches! Its great to see the collaborative and fun environment that U of M fosters amongst the students. Thanks so much for the vote of confidence! 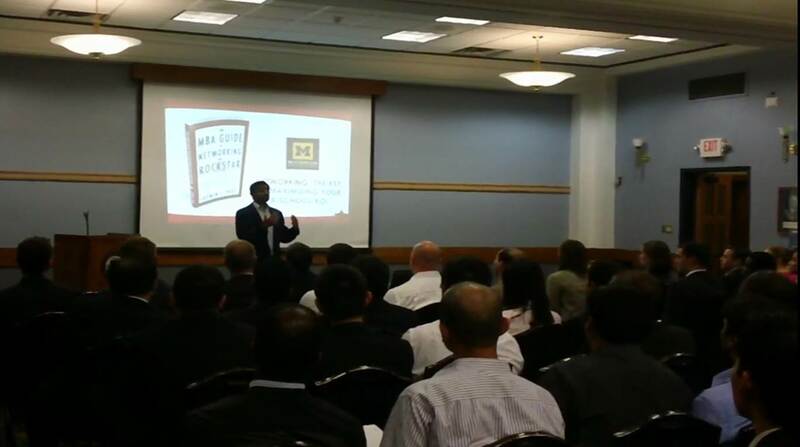 Overall, it was a wonderful time in Ann Arbor, and a great partnership with Booz & Company!